Last edited by Chrismal; 11-08-2018 at 01:40 AM. 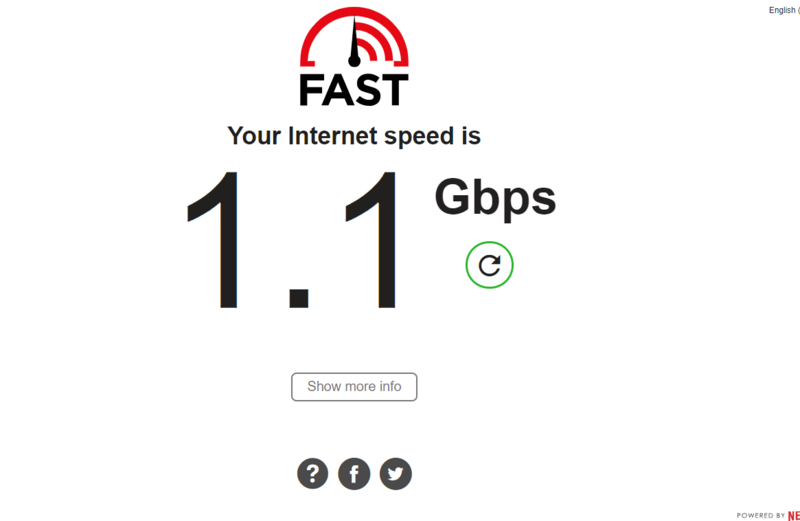 For the record, that isn't gigabit. Still a very nice thing. Actually no it isn't. Gigabit is bidirectional, come back when you can see a server uploading 1gb and downloading 1gb at the same time! I do, but it's internal. I'm just saying that when you say it's "gigabit" I don't see it. Because gigabit to me is saturating a gigabit NIC. That's 2gbit, not 1. Oh, and speedtest.net? Not going to go that fast... not even close. I do, but it's internal. And this is where the conversation hiccups for us mere mortals. "ISP" and "full duplex" just don't exist in the same mental space for most of us. Internal connections can be described in ways we can't apply to external connections, ordinarily. "I do, but it's internal"
Yes sure so do I. We are not talking internally we are talking on what the ISP provides I could give you a 10G speed test Internal using my Raid Z pOOL ., do you prefer this speedtest then?